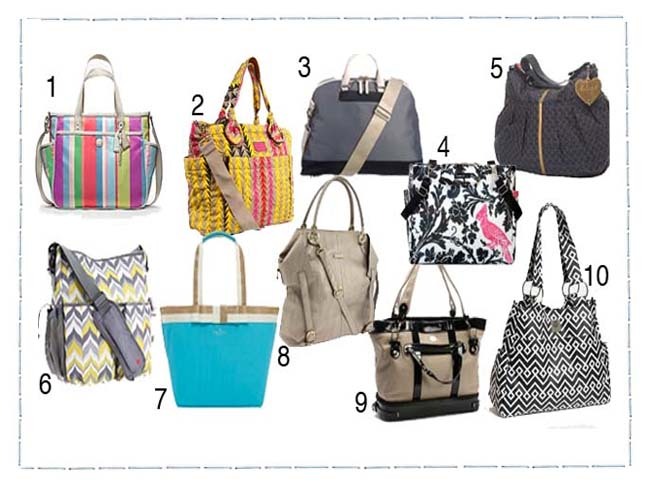 It can be difficult to keep track of all of your new baby items, but luckily there are plenty of stylish diaper bags to choose from for moms on the go. From bright prints to chic, classic solids, the colors and fabric options are endless. They all have plenty of pockets to keep your diapers, bottles and pacifiers organized along with optional shoulder straps for when you need your hands free. Some are even pretty enough to wear as your everyday handbag while others have an androgynous look so even your husbands won’t mind carrying them when necessary. Check out our 10 favorite diaper bags below.